As India prepares for a new government in New Delhi the PR industry is counting on business revival to shore up its fortunes. 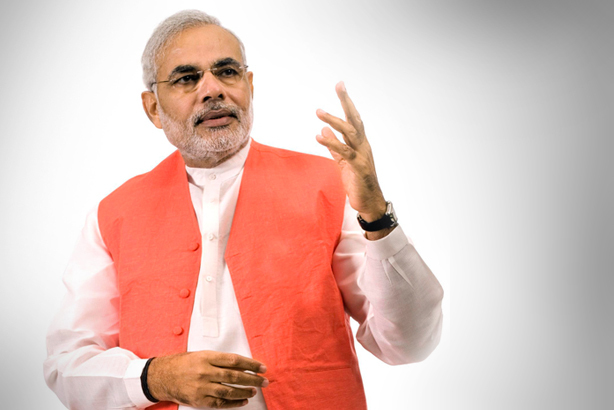 This week (22 May) Narendra Modi, the mercurial leader of the pro-business Bharatiya Janata Party (BJP) is expected to be sworn in as the country’s next prime minister. He swept the polls this month on a pledge to put the country's economy back on track. His thumping victory has sent the stock market soaring and communications professionals see good times ahead. Earlier this year MSLGROUP released an annual report on India’s PR industry based on a nationwide survey of PR professionals (account directors and above). More than half the respondents (53 percent) surveyed in the study said they were "highly optimistic" about the PR and communication business in India after the elections. About the same proportion (54 percent) said recovery could take place in less than two years. The result of the study—‘Public Relations in India: The Impact of the Economic Downturn and the 2014 Outlook’—is far more conservative than the one conducted by the Public Relations Consultants Association of India (PRCAI) in 2013, in which 83 percent of communications professionals surveyed said they were "positive" about the outlook of the Indian PR industry. Although the sample size in both studies was relatively small it is broadly reflective of the industry’s expectations after elections. Madan Bahal, co-founder of the Mumbai-based agency Adfactors PR sees two outcomes. "First, we will see a more stable government. "Second, we will see more scrutiny," he told PRWeek, alluding to the rise of the anti-corruption Common Man Party (referred to by its Hindi acronym AAP) that has brought public probity to the centre of the election debate. "Both these factors will have a positive impact on the PR industry." He predicts the industry could grow by as much as 30 percent this year. Robert Holdheim, CEO of Edelman South Asia, Middle East & Africa, echoes those sentiments. "We have grown sixfold in four years in India," he said. "If we can do that in a downturn, imagine what could happen when the economy picks up again? I believe India will fire on all six cylinders after the elections." The swing in mood is a welcome change from the pessimistic outlook of 2013. 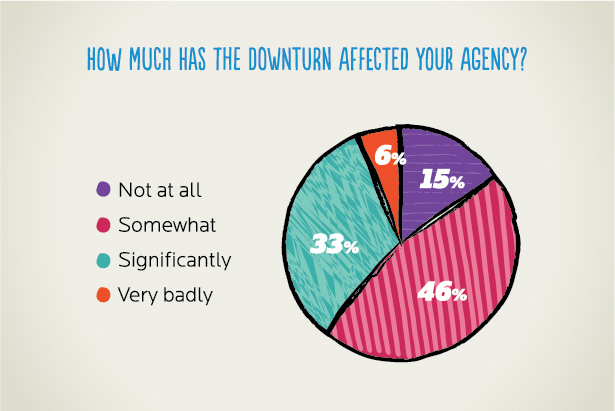 The MSLGROUP study said 39 percent of PR professionals in the country said their agencies had been hit ‘badly’ by the economic downturn. As companies froze their marketing budgets, PR agencies in India complained that clients were taking longer to clear their payments. According to the MSLGROUP, 61 percent of the agency respondents reported facing cashflow problems as clients held payments for up to 90 days, and 63 percent said clients were not renewing their contracts. Once considered a rising economic power, India’s status as a ‘go-to’ investment destination has been hurt by a series of corruption scandals, retroactive tax claims and red tape. The result has been a steady erosion of confidence in the economy, slower growth and a sharp decline in the value of the Indian Rupee. India’s annual GDP growth rate slid to 5.5 percent in 2013 from a scorching high of 9 percent that it had once attained. Fed up by the decision of several Indian states to reverse opening the multi-brand retail sector to Foreign Direct Investments (FDI) Carrefour of France announced this month it was quitting India. 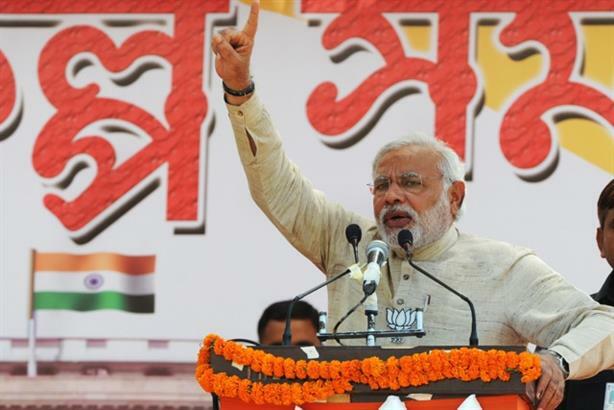 But India is likely to bounce back if Modi comes to power with a decisive mandate. He has promised to improve the country’s investment climate through a combination of liberal economic reforms and effective administration. As a four-term chief minister of the western Indian state of Gujarat, he is credited with injecting it with economic vitality. The province has consistently registered growth rates higher than the national average and has been widely showcased as a model for the rest of India. Indeed, Modi has run a remarkably effective PR campaign using social media, 3D holograms, webcasts and television to cast himself as something of a new-age growth- and development-loving strongman that modern India needs. A charismatic communicator, Modi is often seen as India’s version of Ronald Reagan, the conservative former Republican US President who managed to pull the American economy from a slump and restore public confidence in its ability to counter the erstwhile Soviet Union during the cold war. Modi is widely expected to do something similar. This is the first time in the history of India that domestic political parties have hired PR firms to help connect with voters. According to the Washington-based think tank Brookings Institution, some of these firms include private US consulting firms that helped President Barack Obama get elected in 2008. "Indian political parties have hired PR consultants not only for image making but also for providing advice on campaign strategy," marketing guru Prof Jagdish Seth told students of Emory University last month. During the last general elections in 2009, social-media usage in India was marginal. Today Facebook has 93 million users in India and Twitter has an estimated 33 million accounts—tiny in comparison to the number of eligible voters (815 million) but growing fast. Mobile phones have become ubiquitous too. There are 519 million mobile subscribers in the country. In 2009 a little more than 10 percent of rural voters owned mobile phones. But this time almost half of them do. No surprise, therefore, that social media and mobile phones are the hottest new platforms that India’s political parties have experimented with in these elections. "Mobile is very integral to our strategy," Arvind Gupta, the head of the BJP's IT and social media cell told the BBC recently. One of the BJP's most unique electioneering tools allows potential voters to listen in on Modi's rally speeches in real time on their phones from anywhere in India. "It's our own innovation," said Gupta. The incumbent Congress Party and main opposition Bharatiya Janata Party (BJP) spent 2 to 5 percent of their election budgets for social media, according to a study by the Internet and Mobile Association of India (IAMAI) and the Mumbai-based market researcher IMRB International. Political parties have used 'big data' to crunch the extraordinary wealth of information that social media generates. Digital marketing agencies such as Pinstorm, advertising agencies such as Ogilvy and PR agencies such as Genesis Burson-Marstellar have been at work round the clock monitoring what is being discussed online and providing their political clients actionable data. Many political pundits therefore see this election as something of a ‘game changer’ in Indian politics. "If the elections give a stable government there will be an upswing in the market," Dilip Cherian, co-founder of the New Delhi based PR firm Perfect Relations told PRWeek. "I anticipate lots of new projects and product launches in the next one or two years." He sees demand for consumer, finance and public-affairs practice picking up most sharply. "A more progressive, PR-savvy leader could also legitimize the use of PR for government contracts," Robert Holdheim, CEO of South Asia, Middle East, and Africa, Edelman told PRWeek. "If Modi wins there may be big influx of contracts from state governments." But if Holdheim is right, the PR industry needs to review the way it used to look at government relations. India has a poor record on swift policy implementation. "Ministries do not often speak to each other," said Supriyo Gupta, managing director of the Gurgaon-based Torque Communications. "There are significant gaps in communication between different ministries. There is a strong need [for PR] to bridge this gap." A Modi-led government, which promises a decisive and action-oriented administration, may see the need for professional communication support. With corruption having taken centre stage in this election, it is widely expected that a pro-business government will favour a more transparent, western-style public relations campaign by industry over the backroom graft riddled lobbying that has until now defined how public affairs has been conducted in India. Irrespective of the election outcome, however, digital will continue to be the fastest growing space for communication business in India for the next few years. The number of smartphones in India is believed to be more than 51 million. But with the expansion of the 3G and 4G network, the MSLGROUP expects that to multiply tenfold in the next four years, making India one of the largest smartphone markets in the world. Indians spend an average of 2.5 hours a day on their devices, and 50 percent of all Internet traffic in the country is generated not on laptops but on mobile devices. By taking to smartphones India has effectively leapfrogged the digital age, and brands therefore need to connect with their consumers on the mobile platform. "We see PR as a very important tool in a new scenario with the advent of social media," admitted Rohit Adya, external affairs director at Vodafone India. "We see many of our customers looking at real-time news on their phones. That means that there is plenty of opportunity for us to interact with them through PR." The MSLGROUP report says Corporate Social Responsibility (CSR) will be among the fastest-growing practice areas in the post-election period. This is because the Indian government has amended the country’s corporate law, making it mandatory for all large corporations to spend at least 2 percent of their profits on CSR. Cherian says clients are scrambling for ideas that will demonstrate visible CSR results. "PR pitches now have to be thought out and campaign-focused rather than glorifying one-off initiatives," he told PRWeek. Healthcare is another potential practice area of growth. Rating agency Fitch says India’s healthcare sector is estimated to reach $100 billion by 2015. By 2020 it could touch $280 billion. That leaves plenty of communication work for agencies in one of the most sensitive and tightly regulated sectors of the industry. With private healthcare providers such as Fortis, Wockhardt and Apollo investing in branding and public outreach demand for PR and an integrated strategic communications approach will be felt strongly. According to MSLGROUP the slowdown of the Indian economy forced firms to "reassess" their communication strategies. As marketing budgets shrunk clients in India have begun to look at PR as an alternative to advertising. "In testing times the cost-effectiveness of PR has become a key reason for companies to focus on it as a solution their communication needs," said Marzin Shroff, senior vice president, Eureka Forbes, in the report. "It’s heartening to see the confidence clients are placing in PR," added Jaideep Shergill, CEO of MSLGROUP in India. MSLGROUP says the downturn helped raise the "strategic value" of PR. 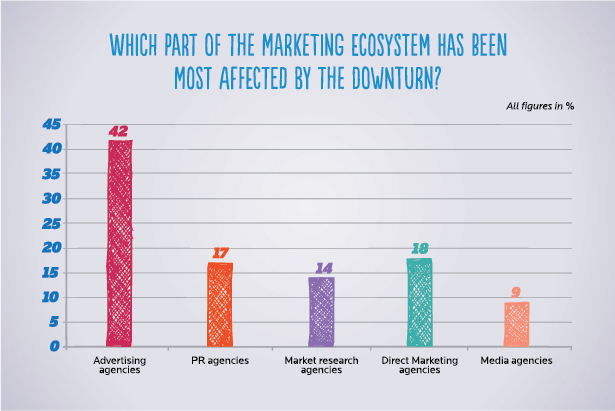 This perhaps explains why 47 percent of the advertising agencies reported they were hit badly by the economic slowdown, as compared to only 17 percent of PR agencies. As economic recovery takes effect, brands are expected to quicken the post-pitch appointment of PR agencies. 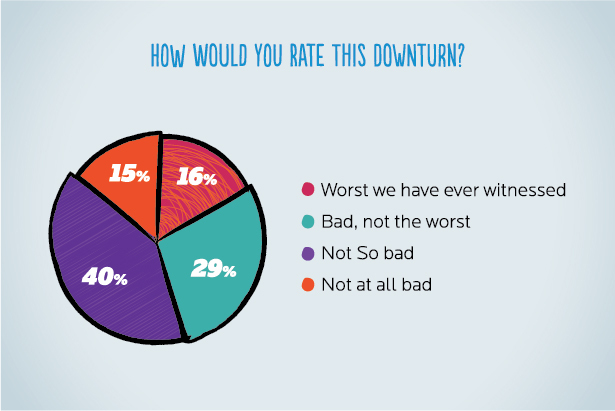 But the MSLGROUP survey shows most respondents believe they will continue to demand more "bang for the buck". "But the problem the industry may face is capacity," cautions Cherian. "It will not be able to keep pace with demand. Competition will become more intense and cost of [communication] service may rise." Some international firms may already be gearing up for expansion. Scott Pettet, vice-president, LewisPR, told PRWeek the agency is likely to open an office in New Delhi by the end of the year. India is still a very young PR market. A 2011 survey of 500 PR professionals by the Associated Chambers of Commerce and Industry of India indicated that the sector was worth $6 billion. There are more than 2000 agencies in the country employing more than 40,000 professionals. Yet there is plenty of room to grow. India is brimming with raw talent and enthusiasm. But exploiting it will need sustained investment in PR training and practice. As the outlook for the industry gets sunny, international agencies may find that doing business in India is easier than finding the right talent. Is China the most important global market for marcomms outside the US?